Oh My Pasta! has gone limp. After opening about nine months ago, on September 3, 2011, the Italian eatery at 142 Montague Street has shuttered. 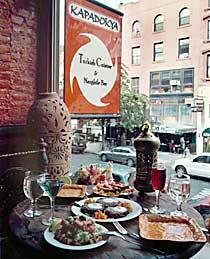 The locally run restaurant was owned & operated by Marco Lasala, a native Italian from Barletta in southern Italy, who had moved to Brooklyn Heights, serving a menu of family recipes assembled from his homeland. While reviews were generally positive for the locale, there’s something about that second-floor location at 142 Montague that’s had a tough time catching a break. 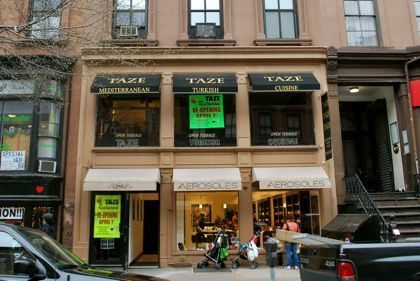 Before Oh My Pasta!, the site held Taze Turkish restaurant, and Turkish Kapadokya previous to that. And let’s not forget there have been two fires in the building, one in September 2008 and another in March 2007. 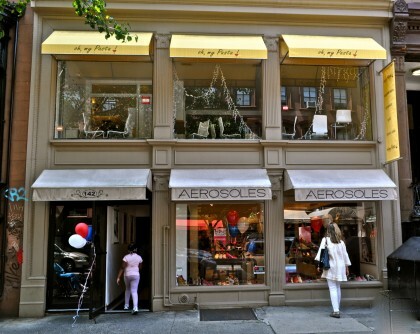 Somehow, Aerosoles in the ground floor space has managed to carry on. A Google search for the biz lists its address as 156 Court Street in Brooklyn, 11201. Good luck… and let’s hope the joint’s name is a little easier on the ears than Sangthongsiri.